Awarded the John K. Robinson Grant for Student Initiatives for her prolific research, most significantly in the areas of sun protection education and scars. Earned grants from the Women’s Dermatologic Society and American Society for Dermatologic Surgery for preceptorships in cosmetic dermatology and dermatology for ethnic skin. 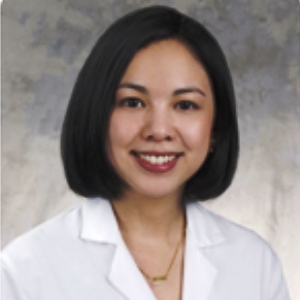 Dr. Poochareon is a Fellow of the American Academy of Dermatology. She has authored numerous publications in leading peer-reviewed journals and textbooks in dermatology. She is also a Miami native and enjoys traveling, cooking and exercising in her spare time.